Everyone wants a deal, and this year there are a number of very simple options on the table in terms of gun buyers searching for a bargain. Shot Show 2016 was full of adventures among the gun-building arts and one firearm that caught my eye was the new Colt Python lookalike by Rossi. This 38 +P wheel gun, save for the Smith & Wesson-style cylinder latch and turning direction of the cylinder, could be mistaken for a Python—lacking a very close look at the handgun. Talking with my old partner Tim Brandt of Taurus I, was able to line up a test sample of the new parent companies Rossi R85104FC. If it were up to me, I would just have given the gun the name “Copper Head” and had been done with it all. The gun is offered with a nice set of fully adjustable open sights that look like those on my Smith 66 Combat Magnum, and are not the ray bar-style, but a real blaze orange red insert ramp type with a partridge square white-outlined rear sight. Shooting these sight targets just jump out at you on a combat course of fire. Like about everything today, the gun retains the “Taurus Security System,” one element all manufactures in handgun building could do better by leaving that idea at the back door. This system built into the Rossi is not apparent however, and somewhat of a help. Savage Model 42, a new survival/hunting design that has staying power among woodsmen and backpackers. The blued steel finish on the gun is well done and in effect better than some other, costlier brands. Someone took time hand-finishing these handguns, as they look like an old-school Colt Blue down to the last detail. Looks or not, a gun has to shoot, and during a week of range testing and a bit of field carry on the local town here in South Dakota, I found the gun to be a sheer delight to holster, shoot, and a times, just admire as a thing of beauty. Priced at $333, this handgun is a value for the price tag on the trigger guard. In the barnyard and backwoods department, Savage has come up with a new breed of the old Model 24 22 lR 410 concept. The new M-42 is an example of reintroducing a good thing in a new space-age package. While old guys like me have a real preference for walnut and heavy steel with a deep blueing, the new M-42 is more like a modern outdoorsman-style shooting tool. Weighing in at 5 1/2 pounds and broken down into a very small pack carrying case, Uncle Mikes brand, the little Savage is a go-anywhere system. The stack barrel I ordered for testing was a 22 Magnum upper barrel and 410 bore lower. Being the gun is a takedown model it is broken into two parts by way of a simple button at the base of the receiver. Push the button and you have the barrels in one hand, and the receiver/stock in the other—it is that fast and simple. A second combo gun that has recently come to volition by the folks at Chiappa is their new stack barreled .410 or 20-gauge lower barrel, as matched to a .22 long rifle upper barrel. This new small game and survival gun is selling at a figure under $400, and with its nicely blued finish and warm-feeling wood stock, it comes off as yet another bargain in working gun options. Chiappa sent this Double Badger gun to me chambered in a 20 gauge/ 22 LR for a field review in an almost daily foray into my South Dakota Black Hills, or open prairie country. 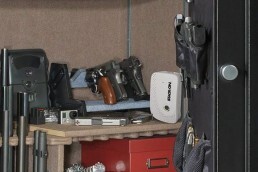 The idea here was just to get a feel for the combo gun as a basic pest control-type rancher’s truck gun or the previously labeled survival gun according to the manufacturer. Mounting a set of double triggers and a tang safety, much like early-model double guns, the Badger can do away with barrel selection systems and it keeps the working action very simple. Drop the lever action and the tubes fall open for loading. No ejectors are employed in the simple field gun, but the walnut, nice blueing, case-hardened lever action lock system and good metal-to-wood fit make this little shotgun/rifle take on the look of a much more expensive field tool. With its well-made rear receiver sight—I found a real nice addition as we don’t see many of them nowadays—the 22 LR upper barrel becomes a solid game-taking, close-range system. 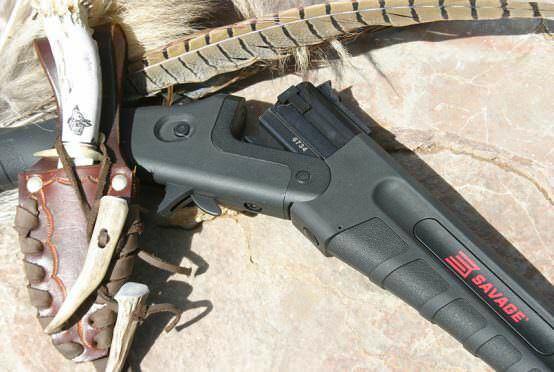 Tack on the 3-inch, 20 gauge lower, and you have a flushed game bird backup that can keep food over the fire in camp or save your bacon if you’re lost for several days. Shooting the new Chiappa stack barrel rifle/shotgun was a lot of fun in terms of getting a feel for the firearm regarding this review. I shot Federal target loads in # 7 1/2 for much of my clays bird shooting and also some Winchester Expert #6 steel as a field load option when hunting non-toxic-controlled state or federal lands. Mounting a single screw-in choke as it came for testing in what would appear to be a full-choke constriction, it took on the 2 3/4-inch target and 3-inch, 20-gauge game fodder with ease. 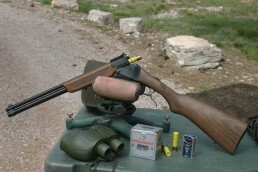 Chiappa 22LR / 20-gauge camp gun. Currently, the market is flooded with low-priced, single-barrel .410-bore shotguns. This past winter I tested the new Legacy Sports’ “Pointer” Series single shot in a .410-gauge offering. This is a lightweight plastic-stocked, dull black, fix-modified choke system shotgun, and is available in 12, 20, and .410 (.506” bore) chambering. The Pointer is currently being fitted for an experimental suppressor system that Metro Gun TM, my company, could offer in the future. 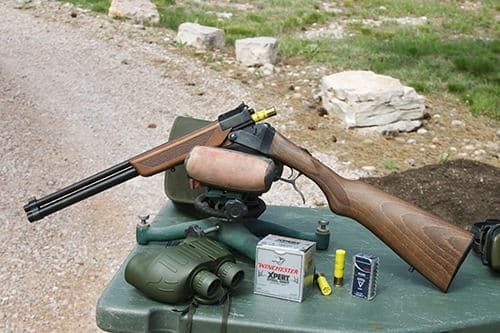 Sound emission is the element to be considered here, and even lacking any suppression system, the .410 bore is not all that bad in terms of the muzzle blast and sound signature downrange. 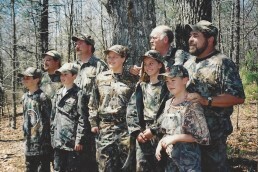 While the new Pointer is not going to take any awards in the “looks” department, it is what it is—a soundly built tractor or barnyard pest-control or in-camp feed-your-face shotgun.